The University of Florida makes no bones about it: Florida possesses more native plants suitable to landscaping than any other country in the nation. Add to that an environment hospitable to half of all varieties of trees in the US, and plant identification in Florida involves hunting through piles of treasure. As is true with all plants, USDA hardiness zones provide only general boundaries within which native plants can flourish, but essentially identifying native plants in northern Florida involves plants that grow reliably in hardiness zone 8 and possibly the edges of zone 9. Good information sources enable even those new to Florida to locate, identify and use native plants easily. A clue to Florida enthusiasm: not only does Florida have a state flower (the orange blossom), but it also has a state wildflower (the coreopsis). Two kinds of maps are helpful in defining the growing zone of northern Florida. According the the National Arboreteum's updated USDA hardiness zones map, the northernmost areas of Florida share zones 8a and 8b with southern neighbors Alabama and Georgia. This means average minimum winter temperatures of 10 to 20 degrees F are possible. Moving toward the central portion of the state, zone 9 a achieves minimums of 20 to 25 degrees F. Winter freezing is possible and light frost likely. Both the newspapers and vacationing neighbors, however, point to the shortness of cold spells. Even in northern Florida, nurseries counsel the "lifting" and storage of bulbs which in more northern climates would winter in the ground. The second map, created by the American Horticultural Society, measures the other stress on plants throughout the US: heat. The possibility of freezing in zone 8 is balanced by the average number of days with temperatures over 86 degrees F, which is 90 to 120 days per year. For zone 9 the number of "heat" days rises to 120 to 150. Both factors need to be taken into account when using native plants for landscaping. As every gardener learns, the amounts of wind or shelter, sun or shade and water are just the start of a long list of variables that enables plants to do well within and outside their projected range. Florida further has a wide range of ecosystems, from salt-water shoreline to wetlands to farmland, as well as heavy pressures for real estate and recreational building and susceptibility to large destructive storms. While some micro-environments are associated strictly with southern Florida (like mangrove swamps), soil content in northern Florida can be influenced by proximity to salt water; humidity and fresh water conservation are considerations throughout the state. For a clear picture of Florida's ecosystems, consult the Florida Natural Areas Inventory website, which is maintained by a nonprofit corporation staffed by Florida State professionals. Web tools let you zoom in on specific micro-environments and project the likelihood of native populations in the area. Maps of invasive species are the next planned project for the site. For those seeking field guides and information on the history of native plants, Florida Plants.com maintains a large set of information links as well as an online bookstore (links include many to the University of Florida IFAS Extension). Photographs of natives abound at Florida Yards, which describes itself as a Florida-friendly landscaping site, relying heavily on recommendations from the University of Florida. (Florida's microenvironmental patchwork is reinforced by the screening questions for locating plants; one cannot ignore soil-type, salt-tolerance or water-requirements and expect to be given plant suggestions.) The large number of publications, both online and in print, listed on Florida Plants.com and on the Florida Native Plant website emphasize both Florida's biodiversity and the time and effort locals and outsiders have put into studying it. The Florida Native Plant Society and the Florida Wildflower Foundation both maintain active programs and websites for members and visitors. The Native Plant Society publishes lots of links and notes recent commendation by the Governor for 30 years of advocacy and support to the state. Over 30 active chapters hold regular meetings; a number have chosen native names, among them Paw Paw, Long Leaf Pine, Magnolia, Live Oak, Sea Oats, and Pine Lily. The Florida Wildflower Foundation holds an annual meeting, plant sale and advocacy forum in the fall and a wildflower festival weekend in the spring. The Wildflower Foundation also makes grants to schools (Seeds for Schools) and involves members in educating recipient teachers and children about native plants. The Foundation's main fundraiser is $15 off every Florida State license plate with a wildflower motif (one of approximately 100 vanity plates available to Florida residents), and purchasers receive a free year's membership. The Florida Wildflower Foundation publishes an online presentation made to wildflower nurseries and growers, which lets viewers identify 30 native plants in seedling form Its Photo Gallery shows 75 natives in mature form. 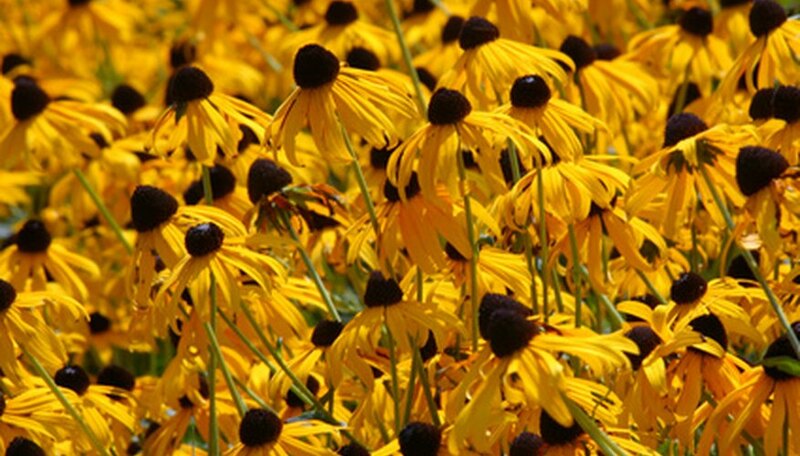 The Native Plant Society offers lists of native plants by county, listing soil conditions, salt and drought tolerance and wildlife attractiveness for each of hundreds of plants. Links to the Florida Atlas of Vascular Plants pinpoints locations where plants have been found and the picture gallery has excellent photos. Offerings for Okalossa County, for example (north, below Alabama, mostly 8a with a little 8b in the southern part), run into the hundreds and include well-known blanketflower, beauty bush, red bud, and butterfly weed, 11 varieties of oak, and more regional needle palm and possum haw. Florida's stringent laws prohibiting removal of native plants from the wild may account for close links between protective agencies and authorized vendors. The Association of Florida Native Nurseries appears on the Native Plant Website and partners with the Wildflower Foundation for exhibits. The AFNN site contains many information links parallel to those on other Florida websites. If you do not know about plants suitable to your yard, possible invasives, rules for native plants in the wild or how to identify native plants in seedling form, it must be caused by determined avoidance. Northern Florida has a wealth of plants, and a wealth of information, to offer.